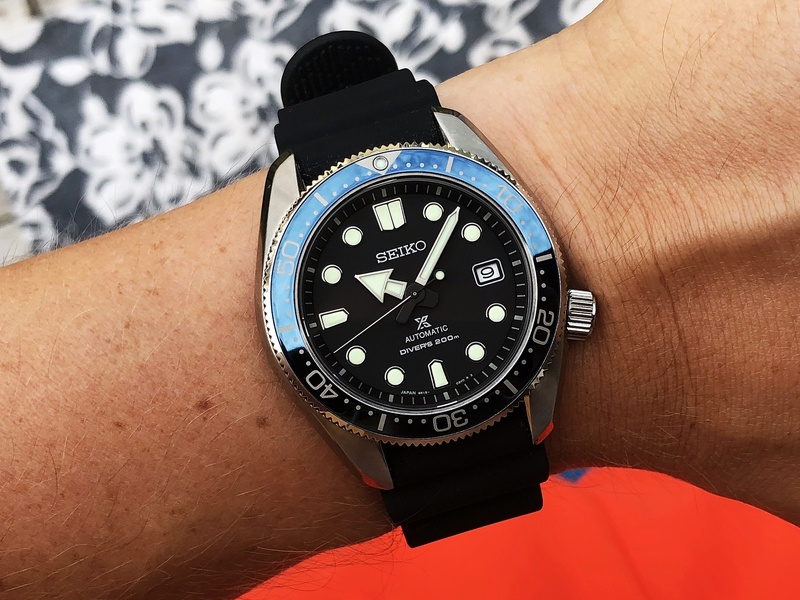 My first Seiko from the 2018 release and man did this one stun me. What a beauty! I was a little tempted to buy a SBDC051/53 from last year's release but for some reason I never felt they were that good. The SBDC061/63 on the other hand were that good! 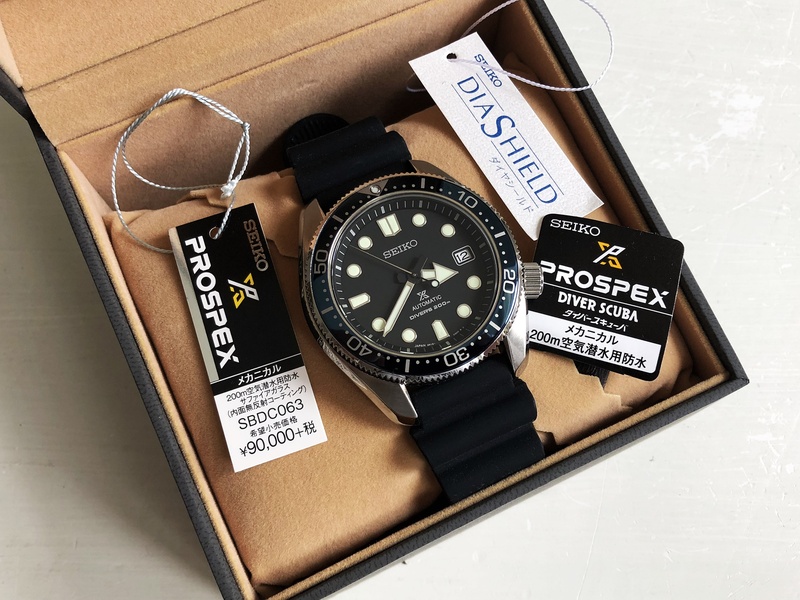 #443 - The Seiko SBDC063. First of all it looks fantastic. The hands and indexes together with the matte dial makes it super legible. I love it that there's no day, only date. Lume is excellent of course but the best thing about this watch is its case. The lines are beautiful and the size is perfect. It sits just like you want the MM300 to sit on your wrist. Much slimmer and not top heavy at all. The flat sapphire is nice and makes it really easy to take good photos of. 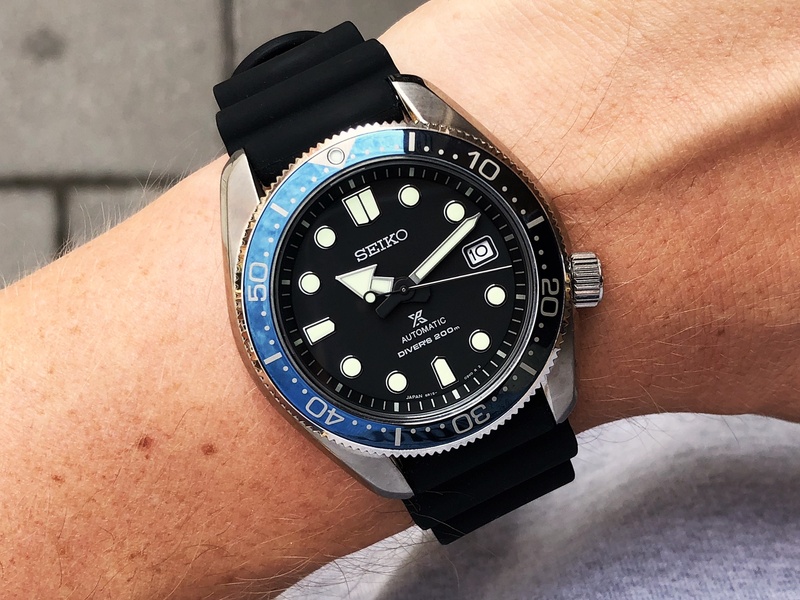 The blue bezel can go from crazy strong blue to a deep blue shade, almost black, depending on the light surrounding you and the angle you look at it. 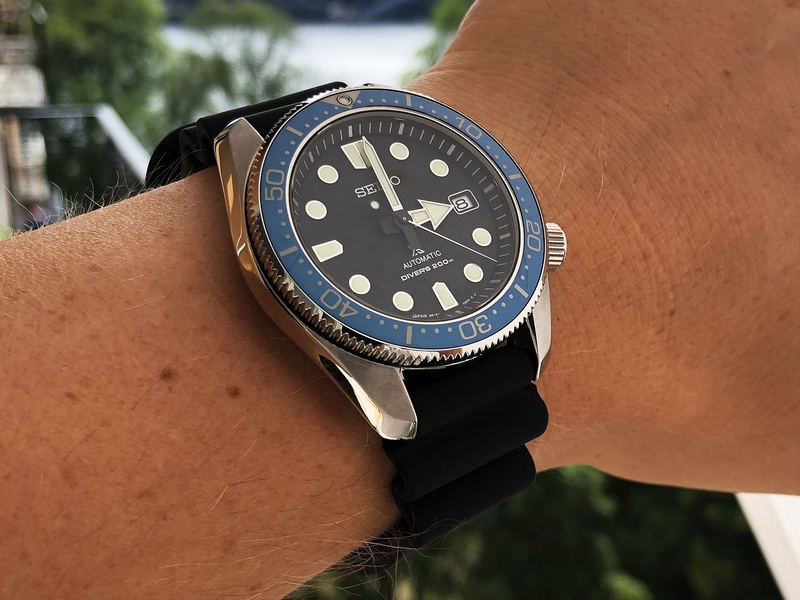 I rarely like the Seiko bracelets and if I’d ever pick up the SBDC061 I’d definitely would have bought the rubber strap for it that this one had. I quickly tried out the SBDC063 with a MM300 rubber but it didn’t gave it that cool look I was hoping it would so I switched back. I only kept this watch for a week but I could easily have worn it much much longer. It actually made such an impact on me I had to write down my thoughts about it immediately. There you go!